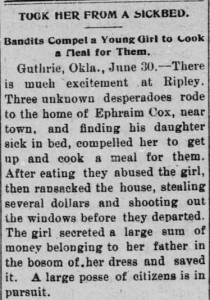 Ephraim Cox’s home is robbed in 1900. The “Oklahoma Digital Newspaper Collection” on the Oklahoma Historical Society website contains digital images of many newspapers across Oklahoma. Full text search is available. Illinois Digital Newspapers comes up as Oklahoma Digital Newspapers. I am very interested in the Illinois newspapers as I have research in Hancock County and Jo Daviess County. 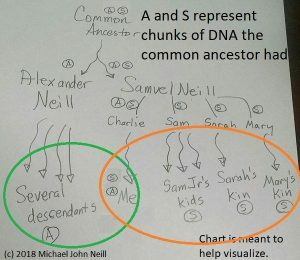 I follow your Hancock County research hoping the same names might come up! I think this has been fixed. Thanks for letting me know. Maybe one day our research paths will cross.